According to the National Retail Security Survey, employee theft costs U.S. retailers $16 billion every year. The New York Times spoke with Richard C. Hollinger, the University of Florida professor that put together the survey. He notes, "Once an employee is hired, they have keys and access codes. They're very hard to deter and very hard to catch." Last week, we delved into inventory shrinkage and some ways small businesses can prevent shoplifting. 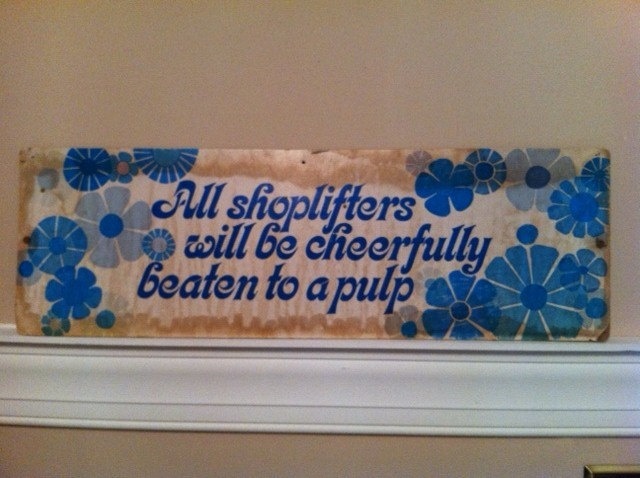 Employee theft actually accounts for 42.7% of inventory shrinkage vs. shoplifting's 35.6% (Source), so we thought we'd share a couple of tactics to prevent and combat those pilferers within as well. Here are five quick tips to keeping your employees honest and your small business safe. 1. Hire the right people. We all want to think we're hiring the most trustworthy souls to help grow our businesses, but 75% of employees admit to stealing at least once from their employers... so chances are, it will happen eventually. Put obstacles in place during the hiring process to weed out potential problem people. Always check references. Consider drug tests (or simply mention drug testing) to avoid hiring someone who might be prone to stealing in order to support their habit. In addition to hiring the right people, provide some sort of ethics training and do your best to keep your best employees happy. 2. Never work alone. We fully support giving your employees the autonomy and confidence to rock and roll in their respective roles, but it's important to set up checks and balances to ensure they are consistently working within your business' standards. If you can afford to do so, pair up your employee shifts so that no one person is 100% responsible for cash, inventory or bookkeeping. 3. Set up cameras (or at least pretend cameras). Video surveillance in a warehouse or shop can be a deterrent, but can be expensive for a small business. If real video isn't possible, invest in a high-quality fake camera, but take that secret with you to the grave. Not even your store manager should know it's phony. 4. Ring up employee purchases yourself. Don't allow employees to ring up purchases for themselves, friends or family members. 5. Drop by unannounced. You don't want to make your wonderful employees feel as if you don't trust them, but you do want them to know that you can drop in on them at any moment. Even if your surprise visits are to do something nice like bring your assistant some coffee, it's a simple way to check up. 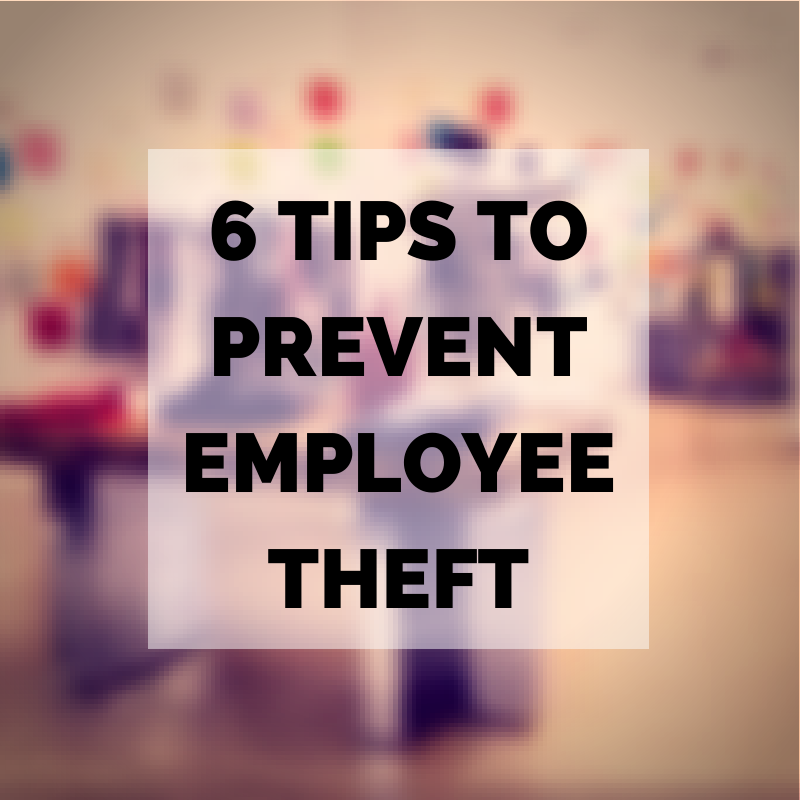 Have you had to deal with employee theft in the past? Tell us your stories in the comments!